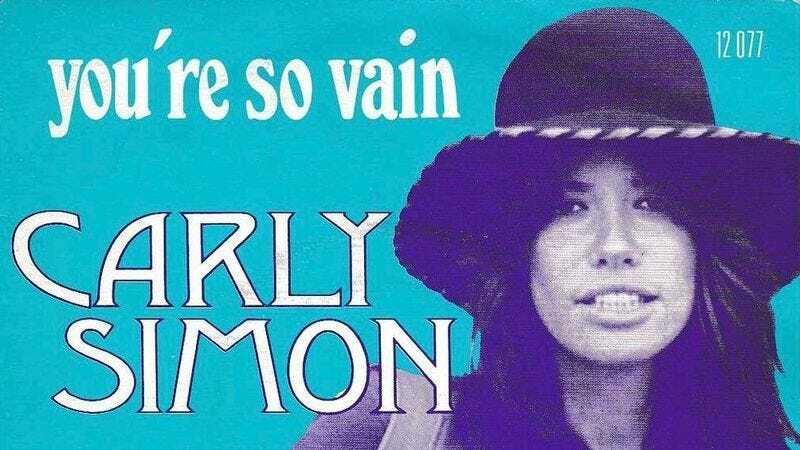 For more than 40 years, the identity of the egomaniac who inspired Carly Simon to write and record her 1972 hit single “You’re So Vain” has remained one of the most enigmatic mysteries in pop music. Throughout the years she’s dropped hints, such as the fact that the person’s name contains the letters A, E, and R, and excluded potential candidates like Rolling Stones frontman Mick Jagger, who sings backup vocals on the song. But finally today she revealed that at least the second verse of the song is about her one-time beau Warren Beatty. In an interview with People Magazine to promote her upcoming autobiography, Boys In The Trees, the singer tells the publication that, “I have confirmed that the second verse is Warren.” That portion of the song is especially agonizing, given that it details the casual and careless way in which the actor/director/producer tossed Simon aside.